Air Conditioner Toronto. How to make a right choice. Air conditioning in Toronto is something for the late spring and summer months yet it is a huge deal isn’t it? Even though as Torontonians we don’t have to worry about the hot weather for many of the months of the year, when it gets hot.. it gets really hot. That’s why it’s so important to have a proper Toronto air conditioning company to handle all of your needs once that time of year rolls around. There is a company in the GTA that can handle all of your problems and needs for air conditioners in Toronto, and that is AC and Furnace GTA, found at ACFurnaceGTA.com. 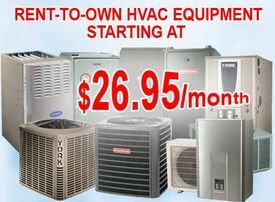 They can sell or replace your old air conditioner, get you a brand new one, or repair your current one. Living in Toronto, you know that storing your air conditioner every year in the closet or balcony seems like the right plan to do. Why is it then so often when you plug the air conditioner back in when the summer months come, that it either doesn’t work at all or doesn’t like it used to? Much of the problem is the storing in the winter, and just the heavy duty nature of the air conditioners themselves. If you find your air conditioner is making too many noises, isn’t working like it used to, or just isn’t making your place cool enough, then talk to AC Furnace GTA. They are experts at central air conditioning and will likely fix your problem quicker and more efficiently then the other air conditioner companies in Toronto. If you are in need (and sometimes it’s a very urgent need!) to have your air conditioner replaced or fixed in Toronto or the GTA, then call AC Furnace GTA right now and they will get the job done. Anywhere in Toronto or the GTA.